Two weeks into my South American escapade, I bought a dress ideal for a cocktail party. It was bright white to the knee, with flecked red flowers and an elegant bow that tied at my waist. I would only wear it once in those next three months. The rest of the time it would sit, scrunched into a ball at the bottom of my rucksack. After all, I had no cocktail party to attend. Cuenca, the city where I made this ridiculous purchase, would be my last taste of Ecuador before crossing the border into Peru a few days later. A post-card pretty settlement in Ecuador’s highlands, it was another reminder of the colonial conquests of South America during the 16th century. 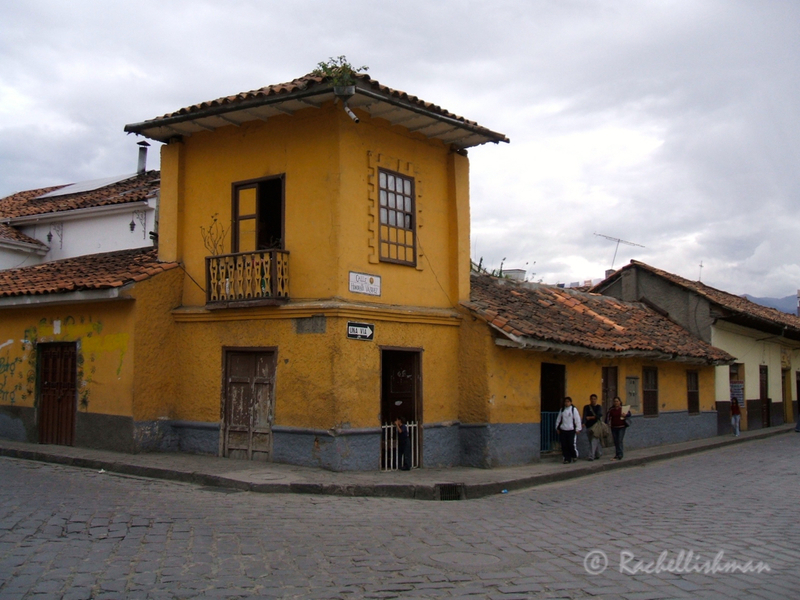 Like Quito, Cuenca’s entire centre is a UNESCO World Heritage site and mountains rise around it in every direction. However, unlike the capital, a total of four boisterous rivers run through it, each one a fading remnant of their renowned parent, the Amazon. Most importantly, with its neat, colourful houses, impressive pillared town hall and quiet streets, Cuenca seemed a perfect place to recharge my batteries, wander aimlessly and indulge in some retail therapy. After a week of extreme sports, jungle hikes and rumbling volcanoes, it was exactly what I needed. After buying the ill-timed party frock and perusing an overwhelming market, where bloodied horses heads hung from shiny metal hooks, a trip to Cuenca’s most surprising shop was on the agenda. 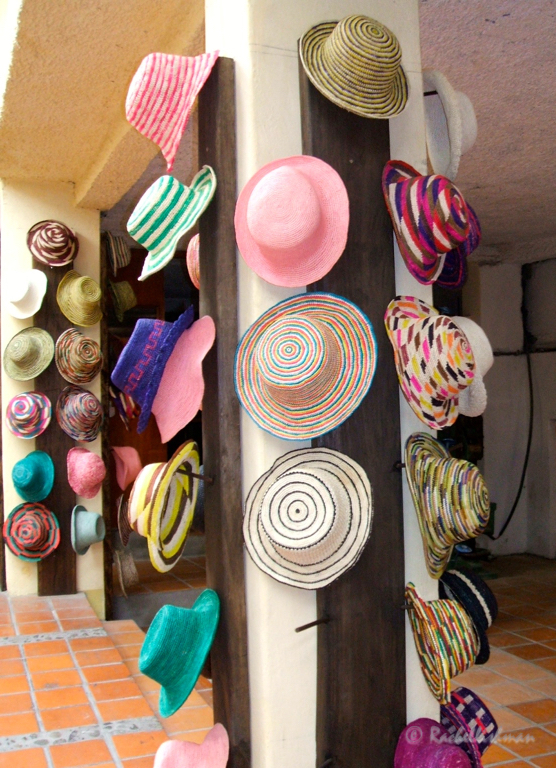 Traditional woven straw hats were first manufactured in Ecuador a few centuries before they acquired their more common name. It was only in later years, when goods produced in the country were distributed from Central America to the rest of the world, that the new name began to take hold. Later, when workers constructing a famous canal wore the hats for protection from the strong sun, the phrase ‘Panama Hat’ stuck. So The Panama Hat doesn’t originate from Panama, as most assume, but from Ecuador. Of course, following a brief factory tour, I bought one. 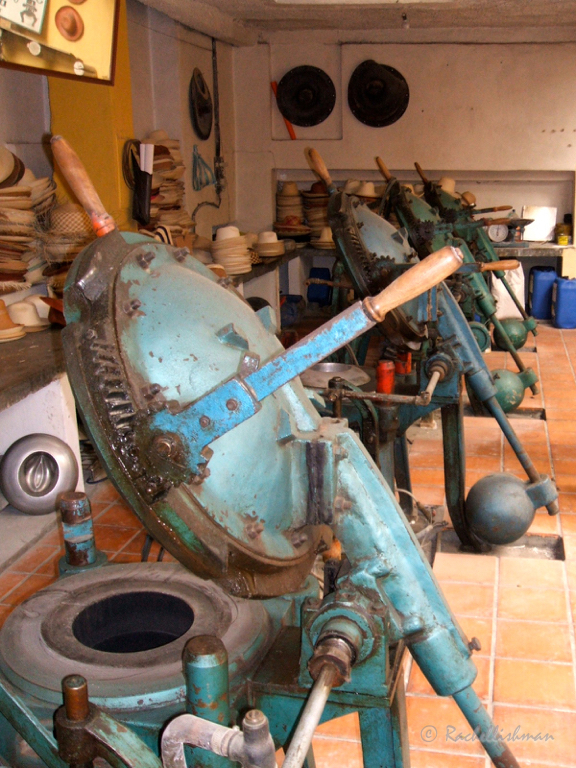 The factory in Cuenca still uses traditional methods and its original machinery – they can even tailor-make bespoke hats while you wait! A classic shape with a green modern twist, I was extremely proud of my Panama. It travelled the entire width of the continent with me, hung around my neck in its specially shaped bag that sported Ecuador’s flag. It seemed like a good deed; to spread the word about its true origins and tell my story behind it. Yet, unlike my cocktail dress, I didn’t even wear it once! It was only a few years later, when I longed to be back in those countries that I started to consider it. I’d open the cupboard and look at it; Gingerly try it on and sit in it for a few minutes at a time, working up the courage to wear it outside the house. Eventually I sported it for an entire trip to Morocco in 2010. 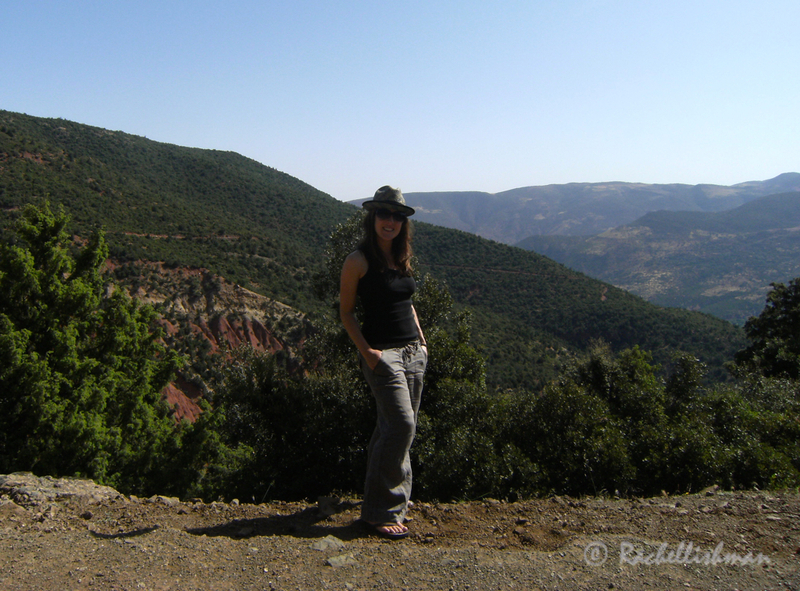 My hat finally got a work out in Morocco’s mountains in 2010! Thanks! I had exactly the same notion and it hadn’t even occurred to me that they were made anywhere else! Not being a hat person in general, it took quite a lot of courage for me to sport my Panama, but it really does serve a purpose! Looks like a very colourful and interesting town ! Thanks Lynne. Cuenca was lovely though a few days was ample time there. I far as I remember, my hat wasn’t too pricey – something around $25 dollars equivalent maybe? There are lots of places I didn’t get to see on that trip – I plan to go back out there one day and head further south! So where is your hat adventuring to next? Actually, it looks like it will be coming with me on my next holiday to Italy, Slovenia, Croatia and Montenegro in May! Nice. I’ll be looking forward to reading all about it.